It takes about 2,500 people to keep Seaboard Food’s live production operations up and running each day. Developing an efficient feeding program really comes down to simplicity and effective communication. 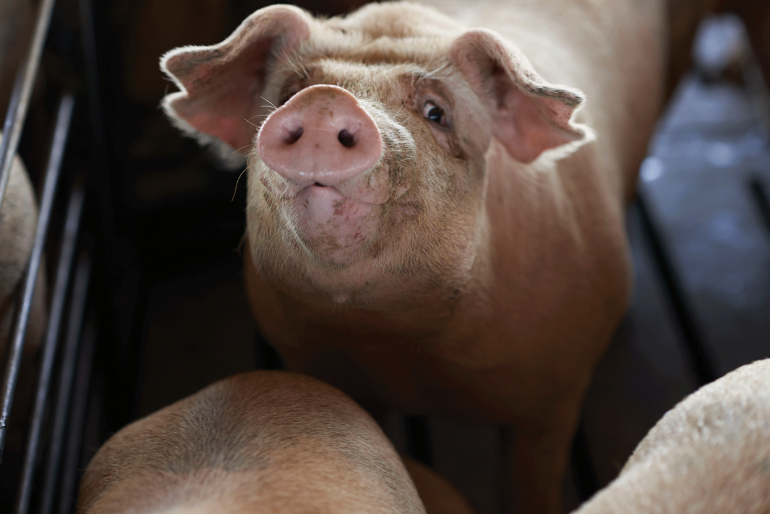 Josh Flohr has three goals he works on every day at Seaboard Foods — all pigs have feed, all pigs have the right feed and, finally, determining what that right feed is. “As simple as the goals of a production nutritionist sound, they are fairly complex and challenging to accomplish in a big system,” Flohr said. During the 2018 Allen D. Leman Swine Conference, the technical and production support manager had the opportunity to share some of those challenges he faces each day in feeding the 338,0000-sow operation. Flohr’s problem-solving skills are stretched across 78 commercial sow farms in Oklahoma, Kansas, Colorado, Texas and Iowa. Home to 1.2 million nursery spaces and just under 3.2 million finishing spaces, it takes about 2,500 people to keep Seaboard Food’s live production operations up and running each day. It also takes many tons of feed. Seaboard Foods owns seven feed mills and has two toll milling partners in northwest Iowa. Each week those mills manufacture 50,000 to 55,000 tons to support all of Seaboard Food’s production. Seaboard Foods has tried to remove areas of concern where error can occur in feed ordering by taking out some of the human elements and instead using an internal feed ordering system. While Flohr said he spends much of his time formulating the right feed for Seaboard Food’s herds, those feed needs can change based on economics, nutrient requirements of the animal and the latest information from genetics and ingredient suppliers. Flohr said there are many constraints and challenges just on the farm when establishing a feeding program. For example, he said to look at feed bin size. Seaboard Foods has a wide range of bin sizes, from 6 to 24 tons. There are single vs. tandem bin setups to consider. If it’s single, Flohr said you have to worry about how a site manager places feed on top of feed or mixes feed in the bin as this can cause issues with feed flow or potential mixing with feed-grade medications. The nutritionist must also examine feed-line configurations. Is it a single feed line that feeds multiple nursery rooms or sometimes each room has its own individual feed line? There is also a level of specificity related to accounting. Some systems define a group of pigs as the barn, some define a group of pigs as the site, and some define a group of pigs as the room. Seaboard Foods defines it as air space. “We don’t always have feed systems that feed pigs by air space, so how you manage and control that can be challenging at times,” Flohr said. Pig flow and fill times are just as important. Is the herd manager single-sourcing or co-mingling? How fast does it take to fill pigs in a site? What are the barns and room sizes? For example, Seaboard Foods has one site in Iowa that holds 150 head, where another site can hold up to 3,000. All of those factors must be accounted for when developing a feeding program that fits all those needs. Also, as a large business grows, whether through greenfield construction or acquisition, it can impact the amount of diversity within sites and on farms. Seaboard Foods has gone through both. Feed challenges can arise from the feed mill to the farm and everywhere in between. Beyond the farm gates, Flohr said feed challenges can arise from the feed mill to the farm and everywhere in between. Some feed mills’ ability to grind grain to make feed can be a limiting factor. What is their mixer size? If making mash feed, is the mixer a point of throughput restriction? How long does it take to batch or to mix? Are pellet mills a limiting factor? How much finished feed bin capacity do they have? Flohr provides the example of two different feed mills in Seaboard Foods’ system. 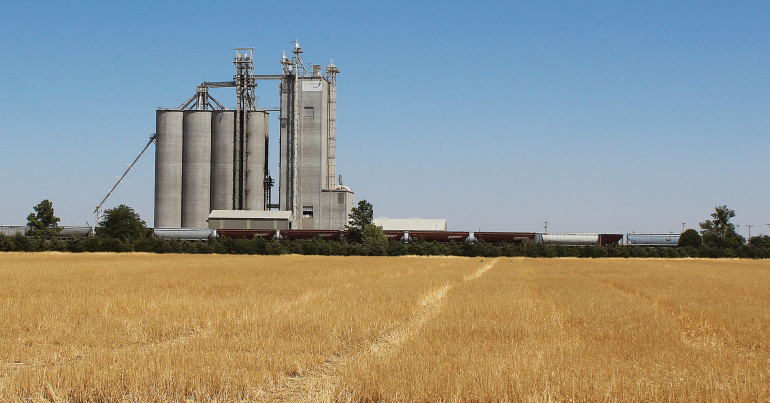 At their Hugoton, Kan., feed mill, the site only has 760 tons worth of finished feed bin capacity, which equates to half a day’s capacity. The Hugoton mill is really making feed to fill orders because it doesn’t have anywhere to put it once it’s made. At Seaboard Food’s Iowa Falls feed mill, it has two days’ worth of capacity, and is manufacturing feed to fill bins and make any diet at any time. In Kansas, they are limited to running only certain diets based on day of the week. “In the event of an emergency outage, it takes roughly two hours to get feed through the mill, into a finished feed bin, onto a truck and out to the site. If a flushing and sequencing procedure needs to be followed when manufacturing the emergency outage diet, that’s 165 tons of production the mill can lose from as simple as an emergency outage they need to fill,” Flohr said. When it comes to transportation, what are the biosecurity guidelines? How much downtime do you need to move a feed truck from a finisher back to the pyramid to a boar stud? Flohr said not following protocols in moving feed can cause inefficiencies in the transportation processes. Finally, it’s important to make sure everyone is following compliance with medication feeding directions. Since the veterinary feed directive went into place in 2017, Seaboard Foods has installed a precise system to manage VFD compliance and medication withdrawal times. As Flohr points out the implementation and execution of a program is tougher than the development of a program. Seaboard Foods has tried to remove some areas of concern where error can occur in feed ordering by taking out some of the human elements and instead using an internal feed ordering system. The feed ordering system is designed to monitor group-level feed budgets and usage, identify overfeeding of a specific diet, automatically populate with valid VFDs, and establish a relationship of farm, medication regimen, feed type, feed budget and feed form. Even with all these processes in place, Flohr said he still sees room for improvement. He would like to centralize more information, reduce demand on clerical staff and accelerate reporting capabilities. He would also like to add more technologies to reduce population variation and improve population predictions while also offsetting labor. In the meantime, Flohr said developing an efficient feeding program really comes down to simplicity and effective communication. When he visits a sow gestation site, it’s easy to tell if the farm is following directions or not. If they are not using one of two settings, they are not following the protocol.